The Los Angeles Lakers signed four-time League MVP LeBron James to a four-year $153.3 million deal on Sunday. The franchise added more veteran talent to their young core by acquiring veteran guard Rajon Rondo to a one-year $9 million deal and guard Lance Stephenson to a one-year $4.5 million deal. The agreement came on the first day of free agency, with the 14-time NBA All Star set to sign his new contract on Friday. After being in the NBA for 15 years, this will be the first time James will play for a Western Conference team. Lakers legend Kobe Bryant expressed his approval of the trade via Twitter. “Welcome to the family @KingJames #lakers4life #striveforgreatness @JeanieBuss @MagicJohnson and RP well done!! !” he stated. James is arguably one of the best to play the game, reigning over the East with eight consecutive Eastern Conference Finals and NBA Finals appearances. During the past NBA Playoffs, James surpassed center Kareem Abdul Jabbar’s record as most postseason field goals. During the 2017-18 season, James averaged 27.5 points, 8.6 rebounds and 9.1 assists per game and shot at 50 percent on the field. However, his strong offensive efforts through the season and the Playoffs was not enough as the Cavaliers lost to the Golden State Warriors in the NBA Finals. According to analyst Shannon Sharp of Undisputed on FS1, the signing the four-year contract shows how much James trusts Johnson. James has an impressive resume, aiding the Cavaliers to five NBA Finals appearances and the Miami Heat to four. In the three championships that he won, he was named NBA Finals MVP. 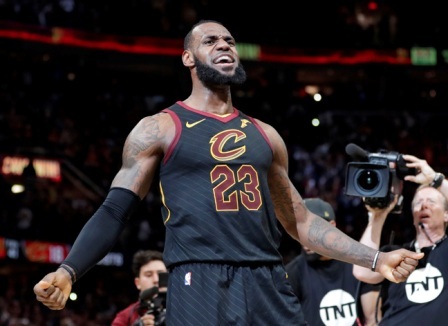 Through his dominance, the Cavaliers stifled the dreams of the Toronto Raptors, defeating them in three consecutive NBA Playoffs. He returned to Cleveland after winning back-to-back championships with the Heat in 2012 and 2013. In 2016, he earned a championship for “The Land.” Despite his controversial life on court, he has an exemplary life off court. In 2013, he married his high school sweetheart Savannah Brinson. Their union begot three children. 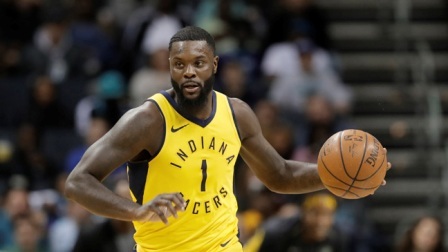 Seeing James and Lance Stephenson as teammates will be a stark contrast from their matchups as opponents. Many NBA fans might remember the iconic highlight of Stephenson blowing into James’ ear during the 2014 Eastern Conference Finals. At that time, Stephenson was a member of the Indiana Pacers, the team that drafted him in the second round in 2010. During the 2013-14 season, Stephenson averaged 13.8 points, 7.2 rebounds and 4.6 assists per game. A native of Brooklyn, Stephenson played with the Charlotte Hornets, the Memphis Grizzlies and the Clippers. Rajon Rondo reached a lot of success early in his career as a member of the Boston Celtics, playing alongside Paul Pierce and Kevin Garnett. His 10.6 points and 5.1 assists per game would help the Celtics secure a championship over the Lakers in 2008. Rondo was named on the NBA All-Defensive First Team in 2010 and 2011. He helped usher the Celtics to five postseason appearances. The new additions brought new interest to the franchise with ticket sales, the least expensive ticket for opening night of the 2018-19 season is $550 plus fees. 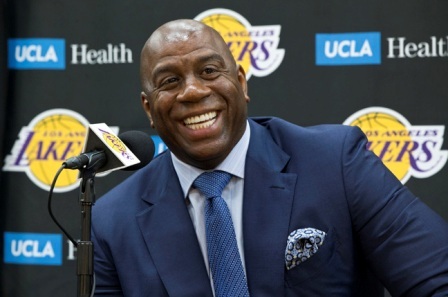 This seismic trade should guarantee the Lakers a spot in the 2019 Playoffs, if not the Western Conference Finals.